We love Dr. Panda apps so it was only natural to choose Dr. Panda’s Restaurant as our Free App of the Day. Easy to use and fun to play, this app is great for toddlers and preschoolers who haven’t yet learned to read. 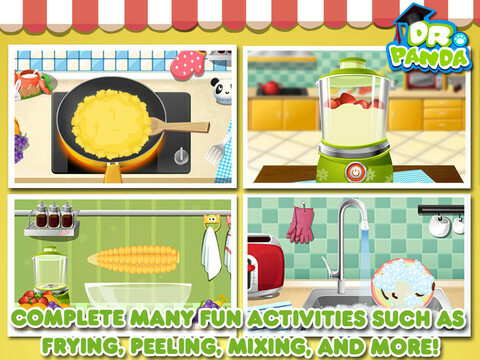 Let your kids try the FREE version of the fun and interactive Dr. Panda’s Restaurant! Cook 3 of the recipes included in the full version. Don’t forget to wash the dishes to make the guests feel happy! Get the full version to unlock more recipes, more mini-games, more animal guests, an extra floor, and extra FUN! – Dr. Panda, Teach Me!